Every wedding is unique. But often the same readings are heard time and again. At a high society wedding in 2018 the reading was F Scott Fitzgerald’s description of the first sight impact of Gatsby’s smile. Wouldn’t it be amazing to have a reading describing the moment the bride or groom first smiled at each other? Or their engagement? Some crazy or funny or wonderful adventure that has only happened to them? 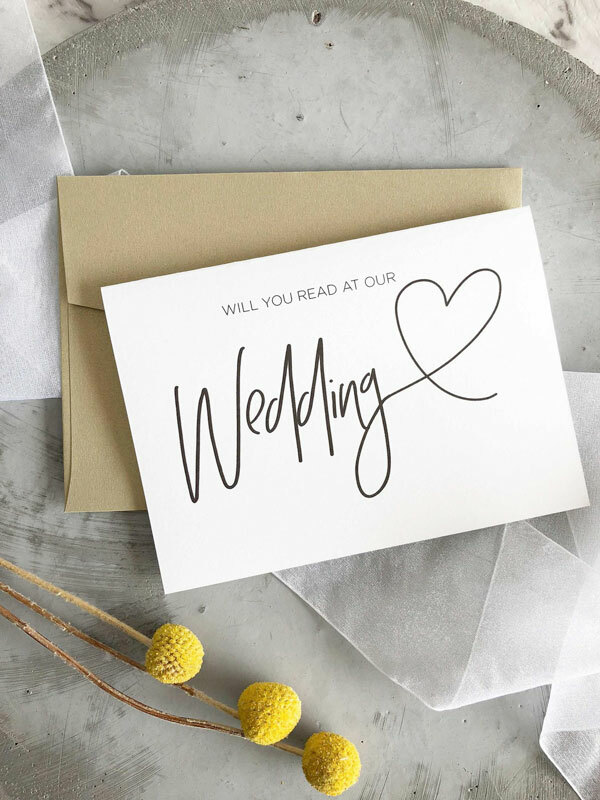 For your wedding, civil partnership or renewal of vows, in church or any other venue you can have a personalised reading, one to treasure forever that no-one will forget. It won’t be the same as anyone else’s, just your very own. I’ll email you some questions. Eg: when, where and how did you meet? Tell me about your engagement? What do you most love about each other? Physically, what’s best about each other? Does either of you like any particular food, drink, animals, birds, fish? Do you have a special place? How old are you? Is either of you particularly good or particularly bad at anything? What are your favourite hobbies and interests? Does either of you have an endearing/annoying habit? You email the replies to me and pay an initial 50% deposit. We can also meet or talk on the phone. Within a month I will have written your reading. It will cover either one or two A4 sheets. Reading it aloud it will take up to three minutes. If there is anything in it which doesn’t ring quite true, I’ll rewrite it till you’re happy. Then you pay the outstanding balance and I’ll either email you a PDF or send it to you in a beautiful folder or frame. “Will you marry me?” She knew this wasn’t original, but didn’t want to take any chances on being misunderstood even though she was down on one knee and when else, actually, does someone go down on one knee? He said nothing. His back was still facing her. “Please?” Now she was getting worried and beginning to feel like she was looking a little silly in the centre of Battersea Park, not far from the tennis courts. He turned round. History does not relate exactly what he said but history doesn’t need to. Tears, smiles and hugs can say more than a thousand words, and a thousand times more than just one. Theirs was an inauspicious meeting on a wet London day on a wet London bus – The One With The Gravelly Voice’s least favourite mode of transport. Seated at the back, he had the premium position from which to watch The One With The Light In His Eye ricochet from front to rear to take the spare seat beside him. It was a comical, mack- flapping, hat-dripping kind of entrance. The One With The Light In His Eye swung his elbow round the metal pole and fell into the empty seat. Then he swore. A gravelly laugh erupted from his right. He turned, looked and said. “Gosh! Hello.” Or something like that. Which was pretty much that as far as the beginning went. Even as a little girl she knew that hers would be a Church wedding. God would be the guest of honour. (Well, perhaps joint guest of honour if her mum made a fuss.) And when during that oh-so-casual “my ideal wedding” conversation that a lot of dating couples have as if it means absolutely nothing, he said “It would have to be in a Church.” She knew. And then he nailed it. “Because God has to be the guest of honour really, doesn’t he?” Which is how we come to be here, in this beautiful place, where the guests of honour are both smiling. One day the donkey made a plan. He didn’t tell anyone what it was because he wasn’t that kind of donkey. To put you fully in the picture the giraffe was actually by now sharing his enclosure. It was a fun place with loads of play stations and a massive telly in the bedroom so the giraffe could watch Jeremy Kyle without getting up in the morning.Making plans was very much part of this donkey’s life. If he’d been on Plenty Of Fish or Bumble or Match Dot Com it would have been wrong for him not to mention it. The plan was set for a particular day and a particular place and noone apart from the donkey knew about it. So they went for a walk in Central Park, New York…. WHEN SHOULD YOU GET IN TOUCH? The sooner the better. At least two months before the wedding. £220. For this sum the story will be emailed to you as a PDF. WHY WOULD YOU ASK ME TO DO THIS? I’m an award winning writer of plays and short stories (Best Original Piece – Birminghamfest, Best Theatre Production – Buxton Fringe. Oundle Festival of Literature short story award winner and two times shortlisted author). Over an eleven year career my writing focusses on families and relationships. Your privacy will be respected. Once I’ve read your answers I will dispose of them and not disclose them to anyone, anywhere. Your names would only appear on this site with your express permission. Copyright will remain mine. That means you can’t publish it or sell it without my consent. But I’m happy for it to be printed in your Order of Service if you promise to credit www.ourveryownreading.com and it can go on your wedding video, of course.